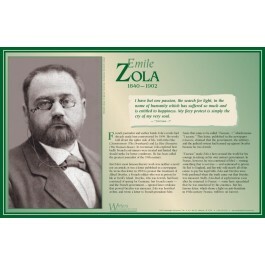 This poster features a photo, and a concise biography of the great French journalist and writer Emile Zola. 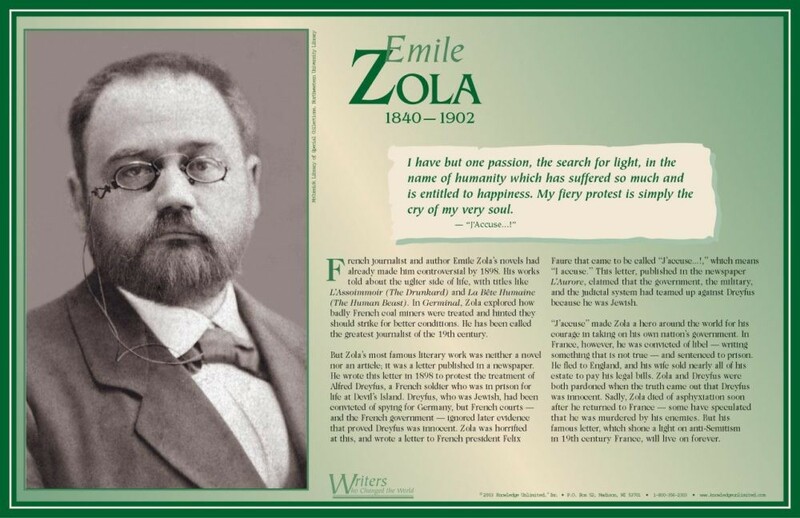 It also features a quote from his famous letter "J'accuse," which made Zola a hero around the world for his courage in taking on his own nation's government. In France, he was convicted of libel and forced to flee his country. His letter, however, still serves as a testament to the power of the written word in speaking out against injustice.